IMG00059, originally uploaded by Rick Cummings. 7F with 10-12mph winds. Wind chill at -10F. 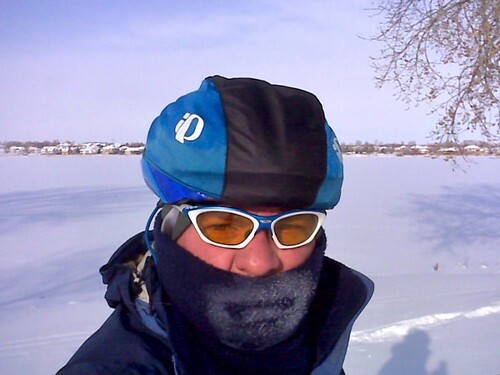 Fracking cold ride today. Spent an hour on the bike to go a whopping 9 miles in 5 inches of new snow mixed with chocolate mousse and oatmeal snow from Monday’s storm. Great day to be outside! 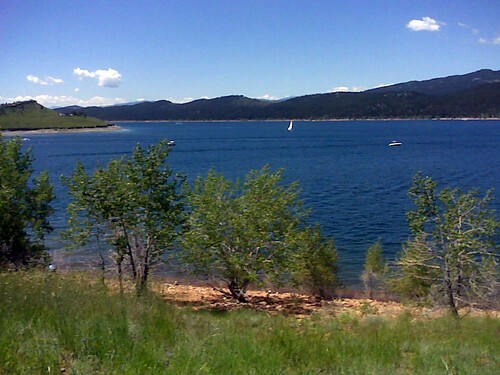 Today’s Bike Ride: Carter Lake, originally uploaded by Rick Cummings. 58 Miles round trip from the house. Went the long way around the backside of Carter Lake. Wicked great hill 48.8 MPH downhill, was pushing for 50 MPH and came up short. 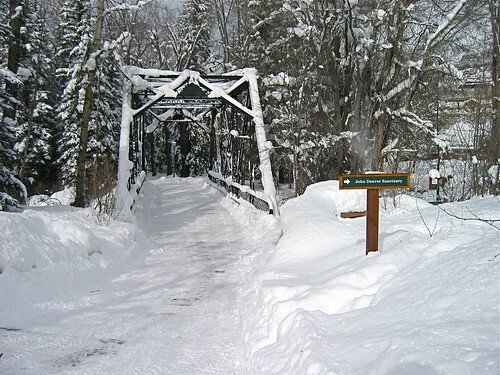 Aspen Bridge on Rio Grande Trail, originally uploaded by Rick Cummings. Cold and fun. Glad to have studded tires. 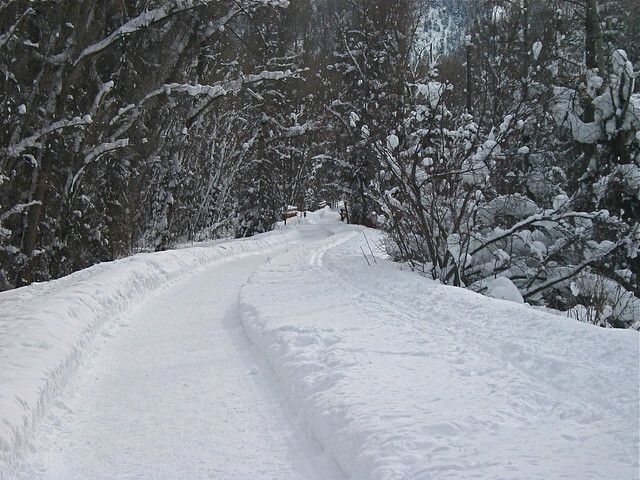 I love a bike path that’s shared with a cross country ski trail. Cold and deep, it was. 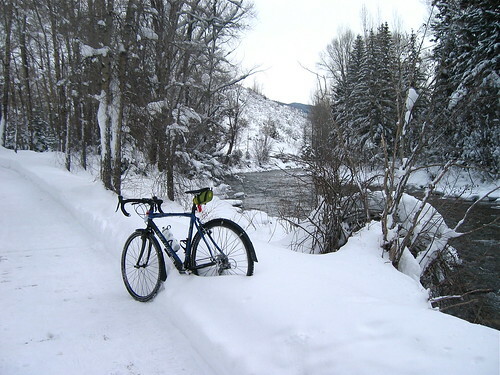 Aspen Rio Grande Trail, originally uploaded by Rick Cummings. 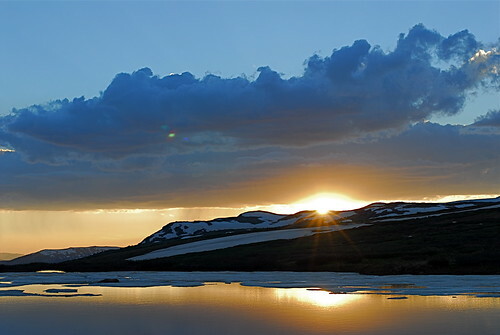 Independence Pass, originally uploaded by Rick Cummings. DT Swiss RR 1.2, originally uploaded by Rick Cummings. Karen was kind enough to give me her old Dura Ace 9 Speed Group to build my next bike with. 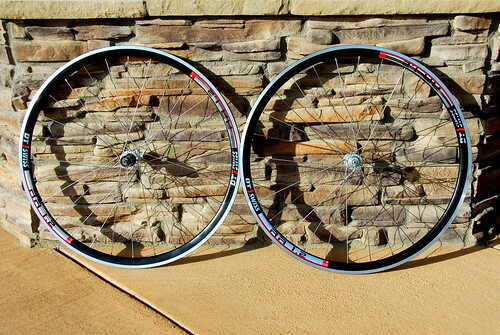 Add DT Swiss Rims and Spokes to the 28 hole Dura Ace hubs, laced with a 2 cross pattern, and I’m good to go! Thanks Karen!